Prolong Life Up to 200% : Corn lights with porous heat dissipation design prolong the life of bulbs, High quality chip which is used longer 2 times than others . Energy Saving : The power consumption of led light bulbs is 1/10 of incandescent bulb, 2/3 of energy-saving bulb under the same brightness,save energy,eco-friendly. 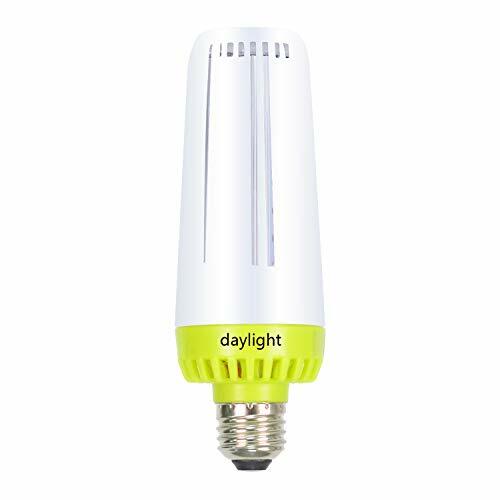 Ultra Bright : Bright led bulb provides 30% brighter than 200W incandescent bulb.360 degree illumination covers bigger area around your building parking porch garage barn yard,with lower energy and renovation costs. WARRANTY :50,000 HOURS\' LIFESPAN. TWO YEAR MANUFACTURER WARRANTY. 60 DAYS MONEY BACK FOR ITEM QUALITY PROBLEM .Free to contact us if you have any issue,we will get back to you ASPA.